1. BUY ON THE WEEKEND. You’ve likely heard that the best time to book your flight is on a Tuesday. Or was it Wednesday? Others say it doesn’t matter, so long as you purchase your ticket 6 to 8 weeks in advance. But it turns out the data doesn’t support any of that. One recent study examined billions of airline ticket purchases made in 2016 and determined that Sunday is actually the best day to score a deal, and that weekends in general—aside from Fridays, which is when business travel is frequently booked—can result in 17 percent savings on domestic travel and around 30 percent savings to Europe. 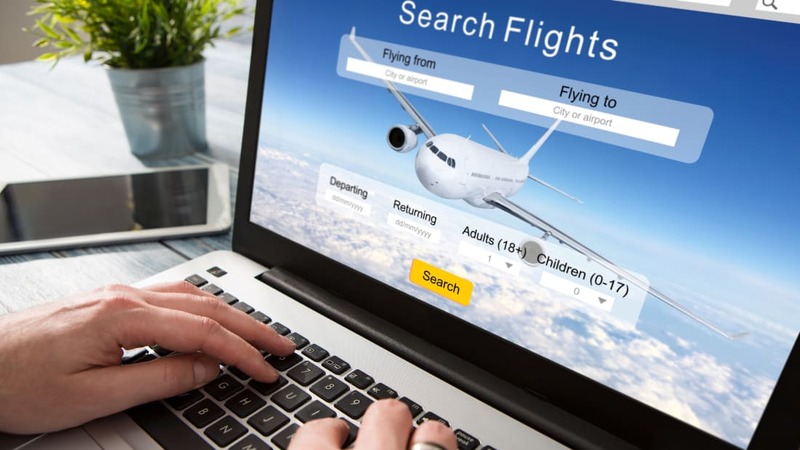 Many travel sites will allow you to save searches for your particular dates and destination, but to be sure you stay on top of things, consider signing up for search-specific email alerts, which will keep you updated as prices for airfare and hotels fluctuate. One common misconception about searching travel sites: Switching over to incognito, or private, mode will help you save money. It turns out that this isn’t the case at all. The real reason for the constant flux in pricing is that seat costs are often determined by how many seats have already been sold. If you experience a jump in prices after an initial search, it’s likely because the inventory you’d seen at a given rate has sold—not because the airline is using your browser history against you. By picking up the phone and calling hotels in your destination city, you may be able to negotiate your way to a better rate. After doing some quick research about the range you can expect to pay at a given hotel, one travel expert suggests calling when it’s quiet (such as late afternoon on a Sunday). Ask to speak with a manager or supervisor, and let them know you had seen rooms for a certain nightly rate and that you’d like to see if they can match that price. If you aren’t in a hurry to get to where you’re going, you can save big bucks by taking the scenic route. Train travel is, generally speaking, much cheaper than flying, and as an added bonus, you’ll be able to take in some truly awesome sights that you wouldn’t be able to see from the air. If your itinerary includes a bunch of different European destinations, rail passes may be the most cost-effective way to see the continent. You could score unlimited, 15- or 22-day passes for around $500 per person—much cheaper than paying for all those airline tickets. Plus, if you plan to do most of your traveling on night trains, you’ll save on a hotel too. Considering a new credit card? Pick one that will help you get where you’re going by rewarding you for every dollar you spend. Some do so via miles; some rewards come in the form of cash back. Whichever method you prefer, plan to use that card in the months leading up to your travel dates, then use that same card to book your transit and hotel. Certain credit cards offer built-in travel insurance; just be sure to read the fine print on yours before declining extra insurance. Wherever you’re headed this summer, make sure you’ve got a credit card that will help you go the distance. Discover it will match all the rewards you earn, dollar for dollar, at the end of your first year—there’s no limit to how much you can be rewarded. Terms apply. Learn more by visiting Discover.